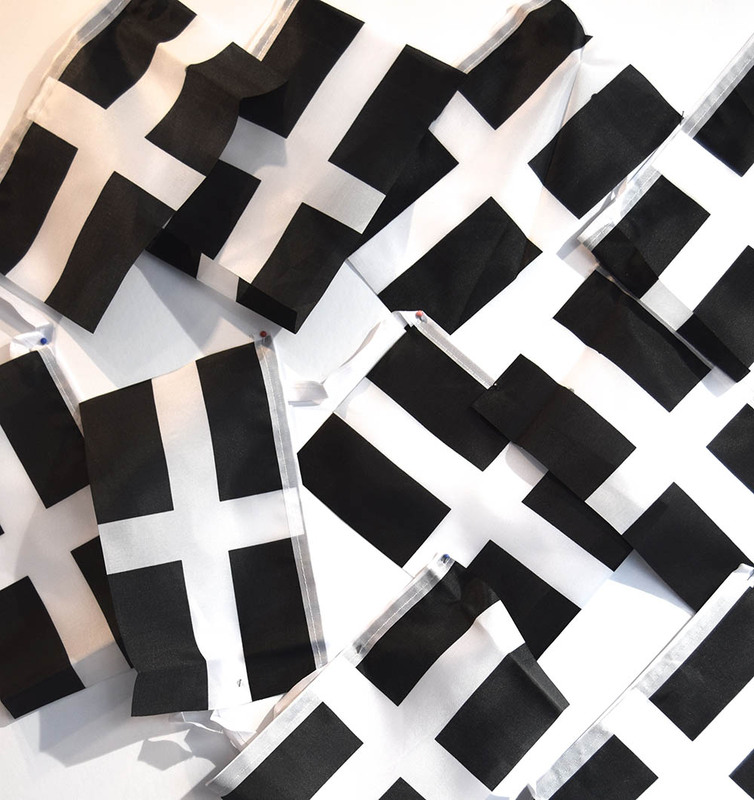 The Cornish Flag of St Piran Bunting has 10 flags, each 22cm x 15cm. Total length of a string of Bunting is 360cm. Printed viscose material. Designed for indoor and light outdoor use. Perfect for, weddings, parties, displays, sports events,corporate use, in fact for any Cornish celebration whether indoors or out! !